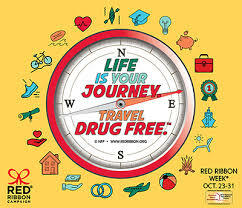 The 2018 National Red Ribbon Week theme is: Life Is Your Journey, Travel Drug Free™. As the nation’s largest and oldest drug prevention campaign, Red Ribbon Week® reaches over 80 million people each year throughout the United States. The annual National Red Ribbon Theme Contest, sponsored by the National Family Partnership, offers students and other prevention supporters the opportunity to be a part of history. Examples of activities for kids to help and participate in the week HERE. 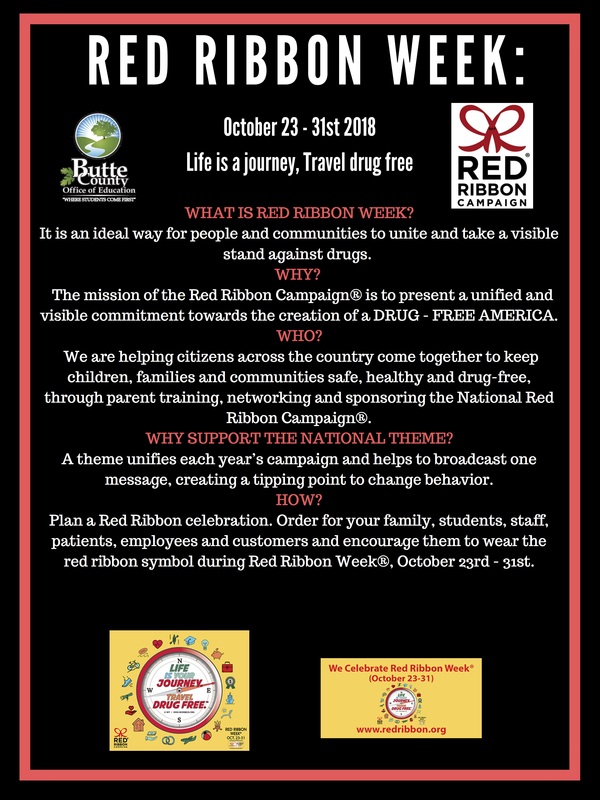 HERE is an informational flyer with facts about Red Ribbon Week. For more information on the National Red Ribbon Week visit their website HERE.